Strawbridge returned to his alma mater where he pursued medical studies earning his M.D. in 1866. Following his graduation from the University’s medical school, Strawbridge traveled to Europe where he studied in both Berlin and Vienna. 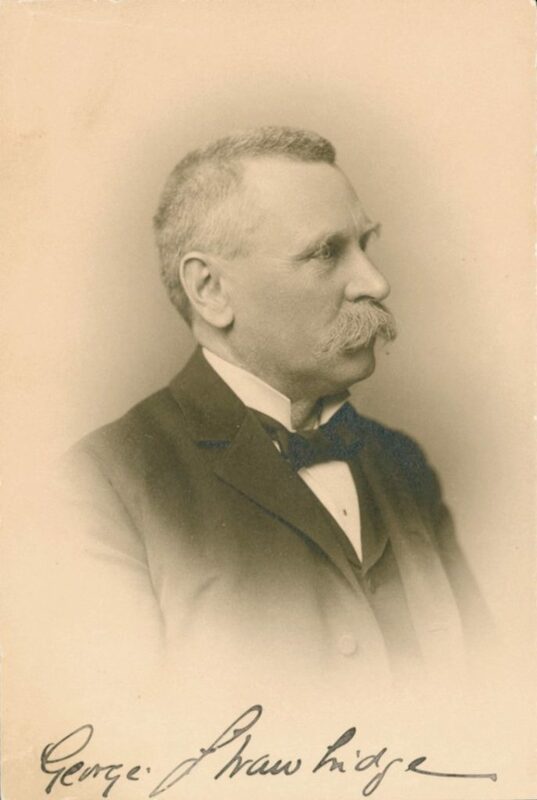 Upon his return to the United States in 1870, Strawbridge was named lecturer on diseases of the eye and aar at Penn. Three years later he was promoted to professor of diseases of the eye and ear, a position he held until 1890. Strawbridge, however, did not restrict himself to simply teaching. He was on the staff at the Hospital of the University of Pennsylvania, Presbyterian Hospital, Wills Hospital, and the Eye and Ear Department of the Philadelphia Dispensary. Strawbridge founded the Philadelphia Dispensary, located at 13th and Chestnut Streets, in 1875 and was its surgeon in charge of the Eye and Ear Department for a number of years. Strawbridge frequently wrote for the leading medical journals of his day and was a member of the Philadelphia County and Pennsylvania State Medical Societies, the American and German Ophthalmological Societies, and was a delegate to the American Medical Association in 1872 and the International Medical Congress in 1876. Strawbridge was also a member of the Union League and the American Philosophical Society. He married Alice Welsh, the daughter of the American ambassador to England in 1875. Strawbridge died at his home in West Mt. Airy on June 28, 1914; he was survived by his wife and four children.